Trilogy at Vistancia is selling fast! Trilgoy at Vistancia, a 55+ community in Peoria, AZ, is selling its last three upgraded homes from their original model home gallery in order to make room for the new model home gallery opening this fall. The three remaining homes include the Vantage (2,771 square feet), Capture (2,439 square feet), and Chroma (2,046 square feet) floor plans. Trilogy’s other model homes have already sold out. In addition to these last model homes, Trilogy’s last two golf course homesites are available, but not for long. These homes are situated on the first fairway and offer views of the 18-hole championship golf course as well as the desert backdrop. Shea Homes began construction of Trilogy at Vistancia in 2004 and plans to build 5,450 single-family homes upon completion. 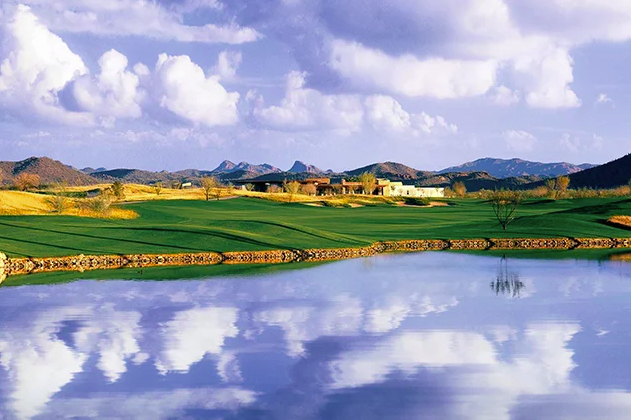 Trilogy is the 55-plus community located within the award-winning Vistancia master-planned development and offers retirees a resort-style setting.